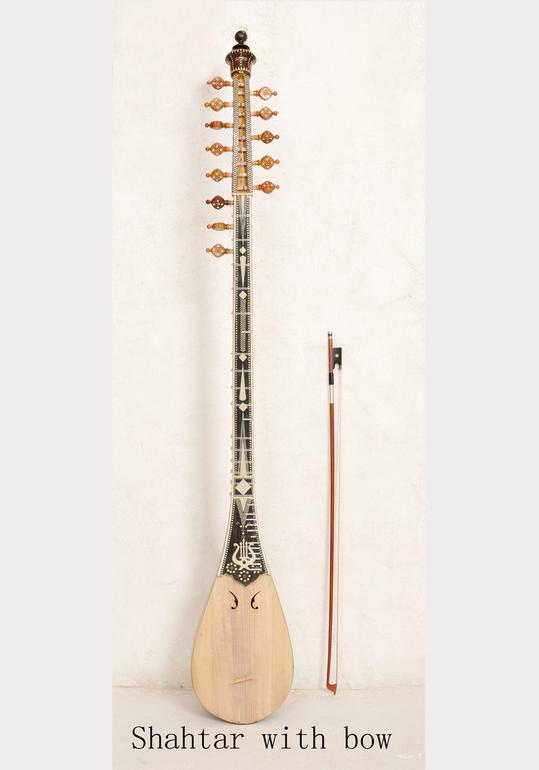 Shahtar – a long-necked bowed lute with one melodic and eight to twelve sympathetic metal strings. The satar plays an important role in the muqam, usually played by the lead singer (muqamchi). Its sympathetic strings may be tuned in five different ways depending on the mode of the muqam being played.While designed for a professional musician, the artisanal craftsmanship and beauty of the Shahtar will appeal to all art collectors as a beautiful and traditional piece.Product Details:Length: 1.40cmNumber of strings: 13Includes:A muqam art posterDue to the size of the instrument, over 140cm long, the Shahtar willarrive in 2 pieces. You can easily put it together with somecarpenter´s glue.